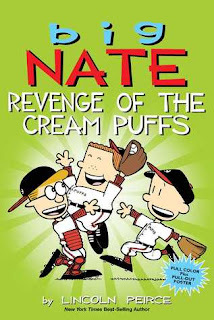 It's Big Nate, need I say more. In his super hilarious comic strips he's always trying to be a little wiseguy. You'll definitely get a laugh or two out of it. It's aimed to children, BUT, as an adult I still enjoy them very much, so I'm gonna go with the five on this one. Kids love these books. I guess they can relate to a lot to Nate’s strife’s with school and chores. Elle has read 7 books toward her goal of 200 books.